Thanks to everyone who helped us to achieve this award. 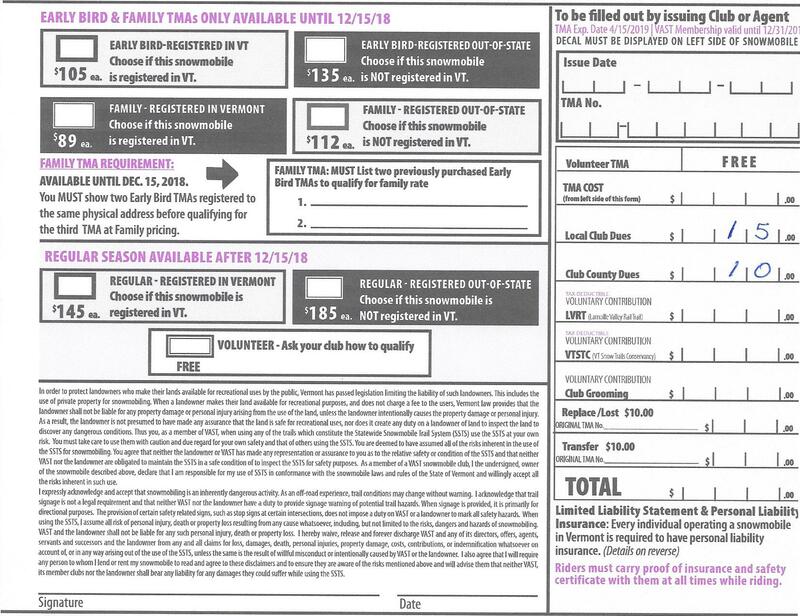 VAST has not increased 2018-2019 Early Bird & Regular Season prices. The “Four Day Pass” is now a “Three Day Pass” and is only available after December 15. You MUST sign the TMA form, or your TMA will not be valid. If the sled you are obtaining a TMA for is Registered with the State of Vermont DMV, then you qualify for the Registered in VT TMA Price. Otherwise you must pay the Registered Out-of-State Price. You MUST show the State Registration Certificate for your sled when purchasing a TMA, whether registered in Vermont or Out of State. Early Bird TMA's are sold at reduced prices and will be available until Midnight December 15, afterwards you must pay the Regular Season prices. Family Prices are not available after December 15. Three Day Passes are only available after December 15, and must be for three consecutive days. All categories of TMA's can be purchased by Mail, through one of our Sales Agents, or thru the VTVAST.org website. 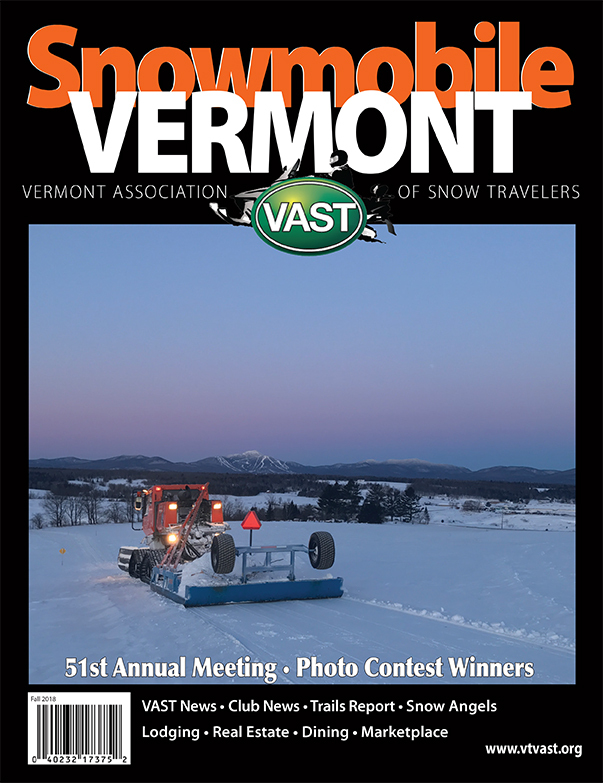 If you use the VTVAST website for your registration please make sure you select the Chester Snowmobile Club. Your TMA sticker will be sent in the return mail. You must sign the returned TMA form (yellow cardboard). The Pricing shown below includes $15 for Chester Club Dues and $10 for Windsor County Dues. Our Sales Agents are listed below (Please be courteous to our Sales Agents, they are doing this for the Chester Snowmobile Club while running their own business). Note that Sales Agents have been authorized to add a $5 recording fee to the normal TMA prices for their effort. No need to complete the application form below, you will fill in the actual TMA form at the Sales Agents place of business. We would like to take this time to welcome you to the Chester Snowmobile Club. Our club located in Chester Vermont, less than a two hours drive by automobile form Hartford Connecticut, offers some of the best snowmobiling around. 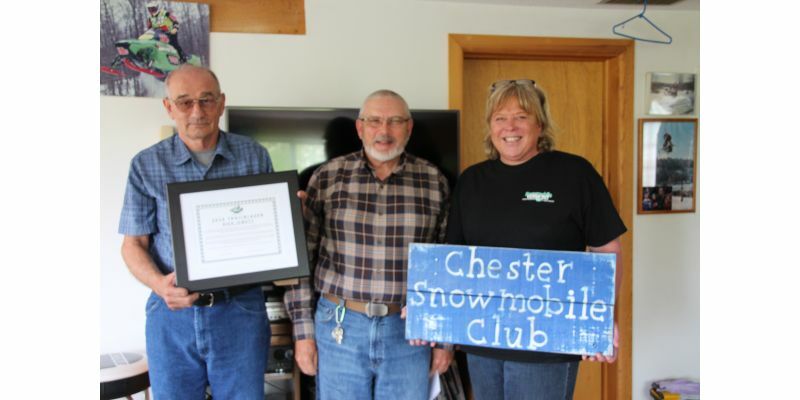 The Chester Snowmobile Club and its members are very active in promoting safe snowmobiling in our state. We continue to improve our trail system every year with not only wider and smoother trails but we also work to improve relationships with the landowners whose land our trails are built on. We will continue to search for ways to thank these landowners as if it where not for them snowmobiling in Vermont would be non-existent. Please when you see or meet a landowner, thank them for allowing you to snowmobile on their property. Our club is very proactive in many other ways also. 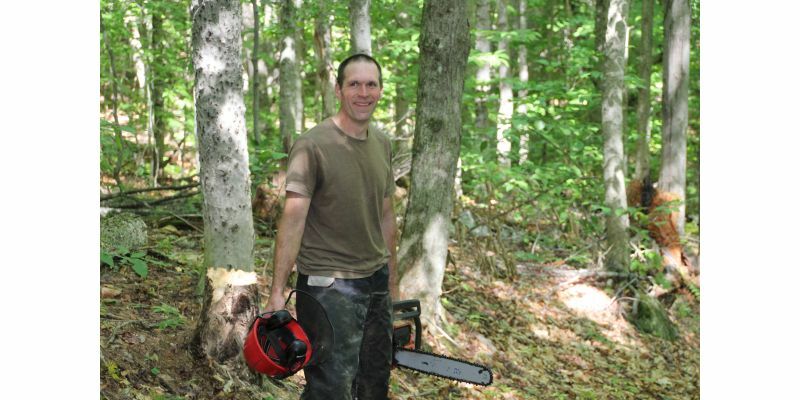 We continue to involve our membership in many ways, from trail clearing and building, to event planning and scholarships for those who are members. 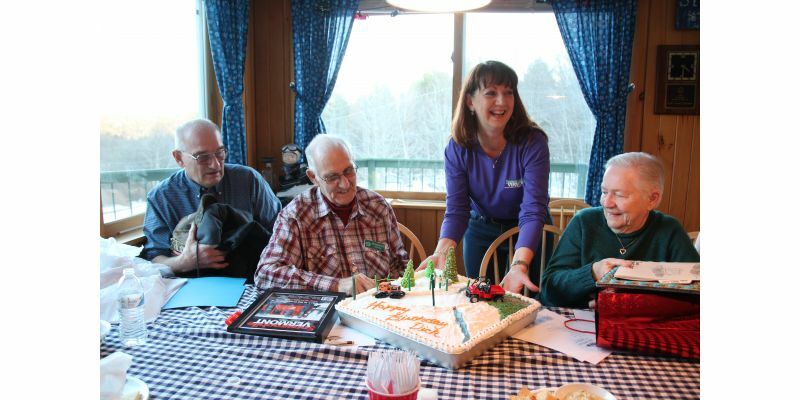 You will find our members to be friendly, caring and most of all they will make you feel like part of the family. 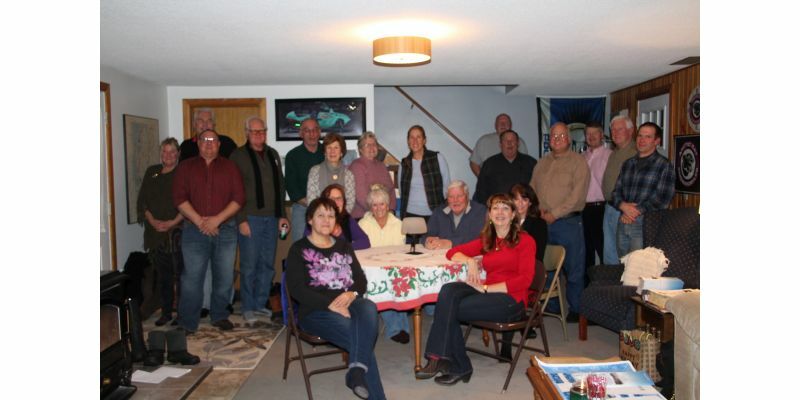 The Chester Snowmobile Club has events throughout the year from club meetings to picnics and lots more. Have children that also ride? 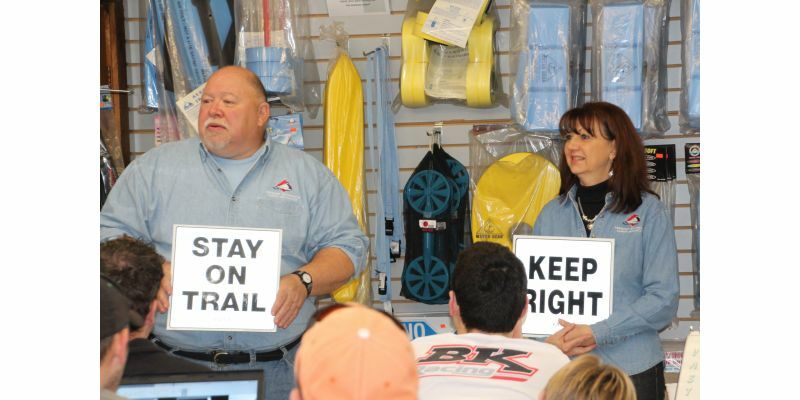 No problem we offer snowmobile safety courses throughout the year. We also involve them in our activities and events, no one is left out of our club. So stop on by and check us out, give our trails a ride and enjoy what we have to offer. We are sure that you will not be disappointed. 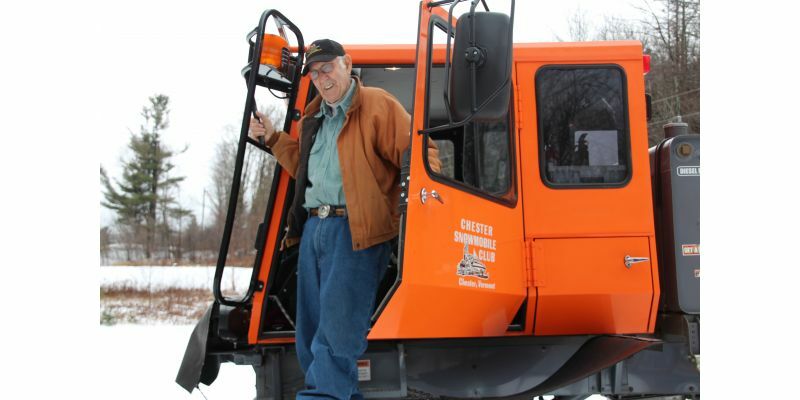 We are located right here in Chester, Vermont, and for our friends in the South, we are less than a two-hour drive from Hartford, Connecticut, and offers some of the best snowmobiling around. We offer great parking at Chester's recreation field on Lover's Lane in Chester. Port-a-pottys are also at this location for your convenience. 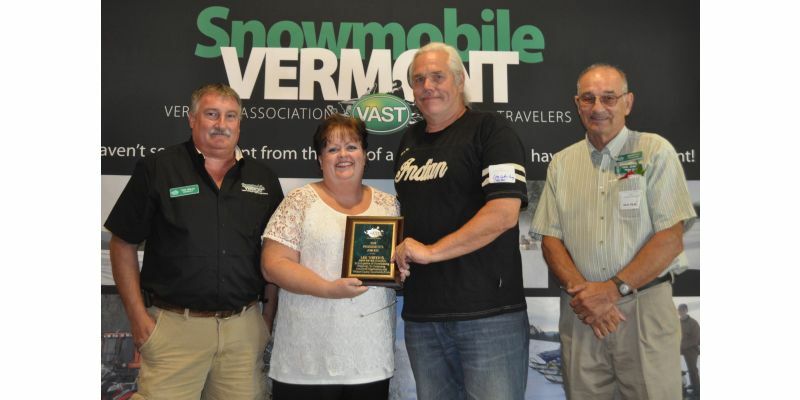 The Chester Snowmobile Club and its members are very active in promoting safe snowmobiling in our State. We continue to improve our trail system every year with not only wider and smoother trails but we also work to improve relationships with the landowners on whose land our trails are built. Our Club is also very proactive in many other ways. 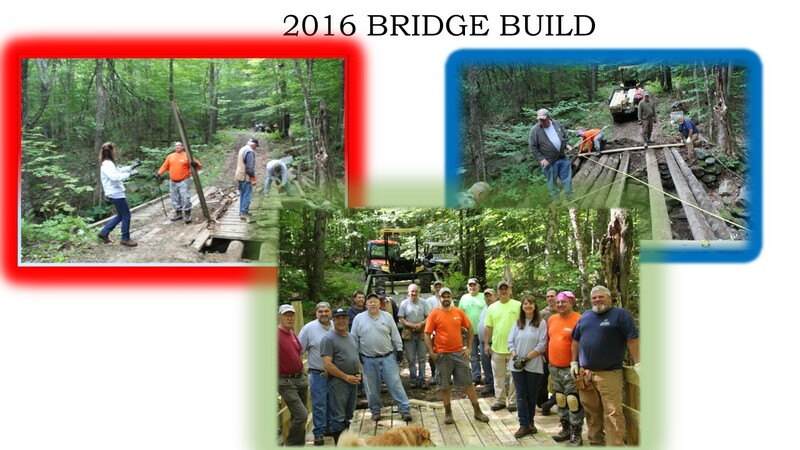 We continue to involve our membership in many ways, from trail clearing and bridge building to event planning. We award scholarships and financially support local organizations such as the rescue squad and summer camp program. 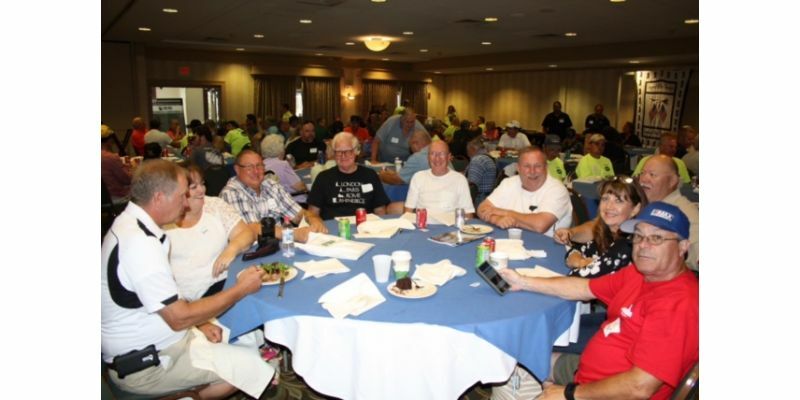 You will find our members to be friendly, caring, and most of all, they will make you feel like part of the family. 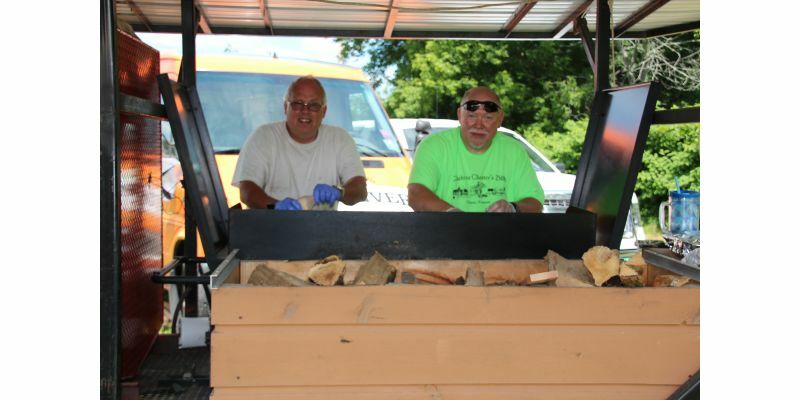 The Chester Snowmobile Club has events throughout the year from Club meetings to picnics and lots more. 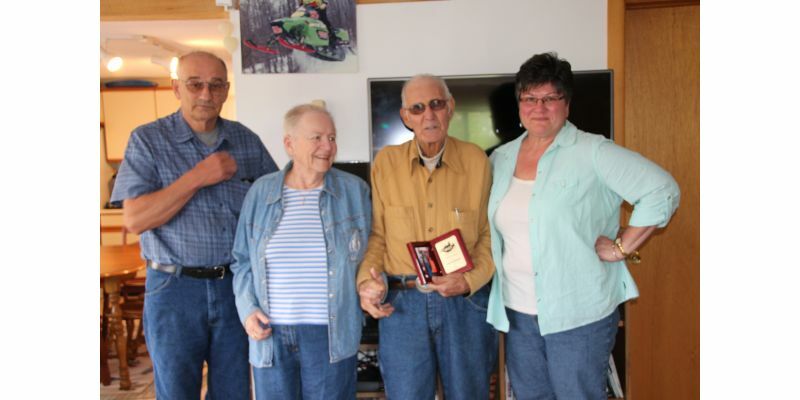 Our annual poker run is always a great time with lots of prizes. Have children who also ride? No problem; we offer snowmobile safety courses. We also involve them in our activities and events; no one is left out of our Club. So stop by and check us out; give our trails a ride and enjoy what we have to offer. We are sure you will not be disappointed. 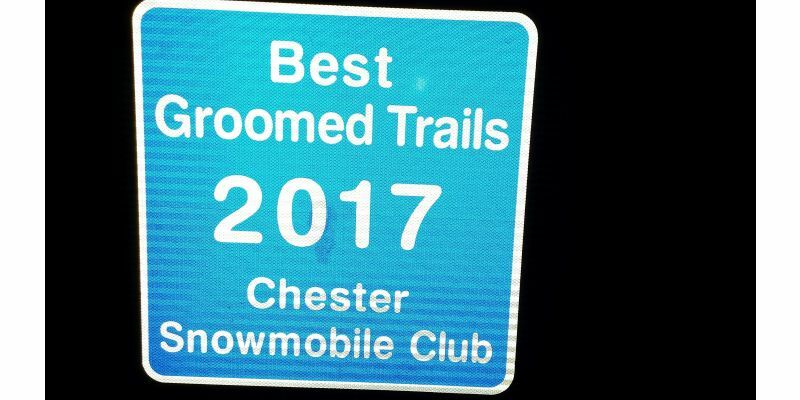 Visit our website at www.chestersnowmobileclub.com to purchase your early bird TMA on line, view trail updates, event notices, etc. During the riding season our snow phone 802-875-6550 is updated with trail conditions. 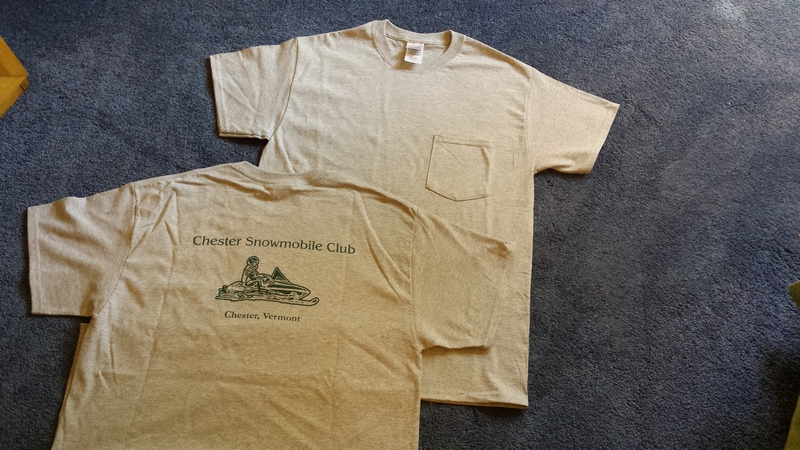 Show your club spirit by wearing a Chester Snowmobile Club tee shirt. Grey pocket tee shirt with club name and logo o the back. Available in sizes small to XXL. Buy yours today by sending a $25 check to Stan Choiniere, Chester Snowmobile Club, 13 Partridge Lane, Southwick, MA 01077. Questions call 413-237-6541 or email stancconsult@comcast.net.